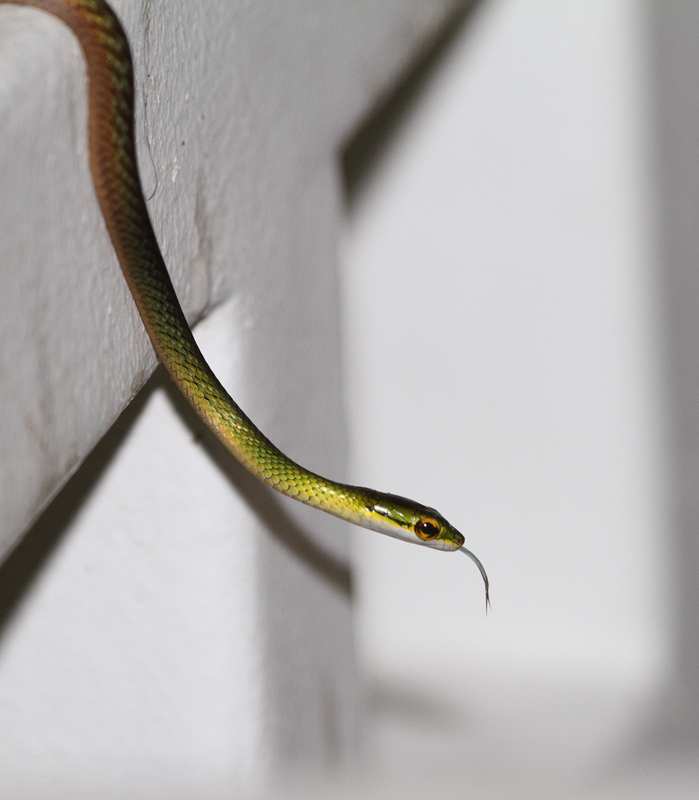 Page 6 of Panama Photos. 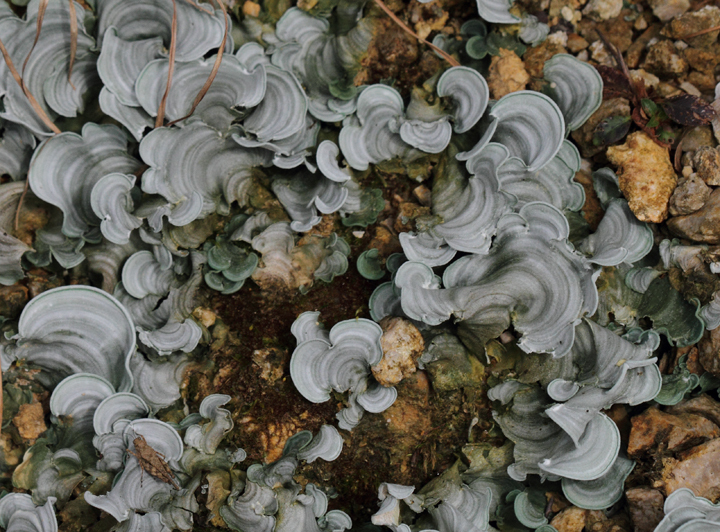 Last updated: 12/26/2010. 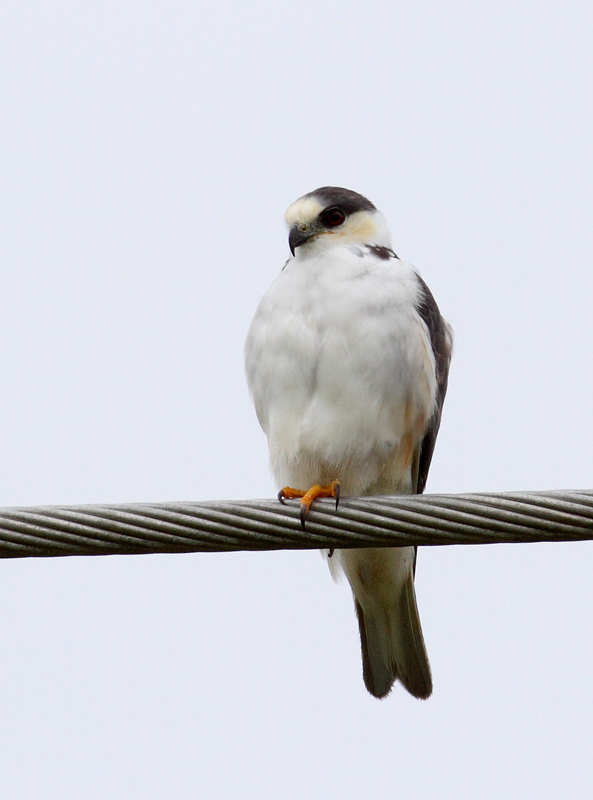 Above and below: A Pearl Kite near Chepo, Panama (7/10/2010). 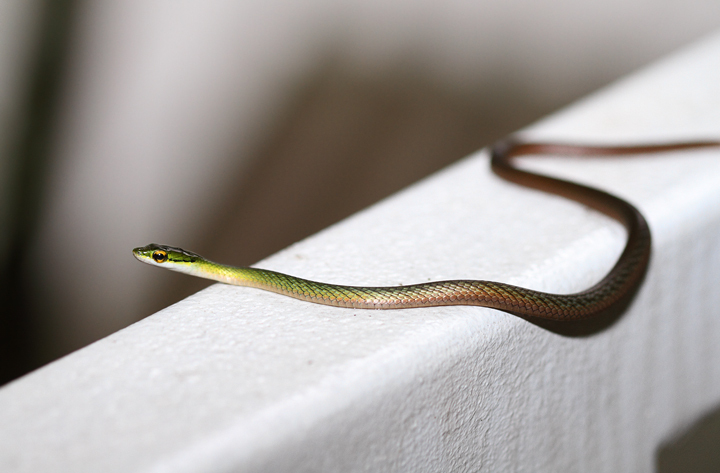 Below: A Green Parrot Snake (Leptophis ahaetulla) near El Valle, Panama (7/10/2010). 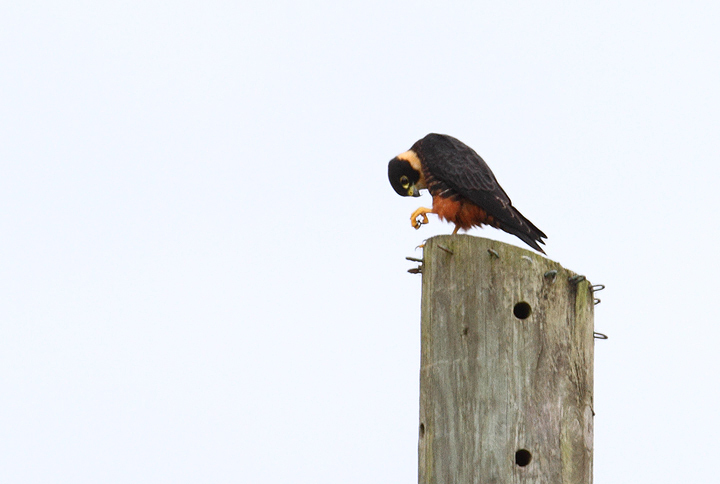 Below: A Bat Falcon with avian prey (near Rio Mamoni, Panama, 7/10/2010). 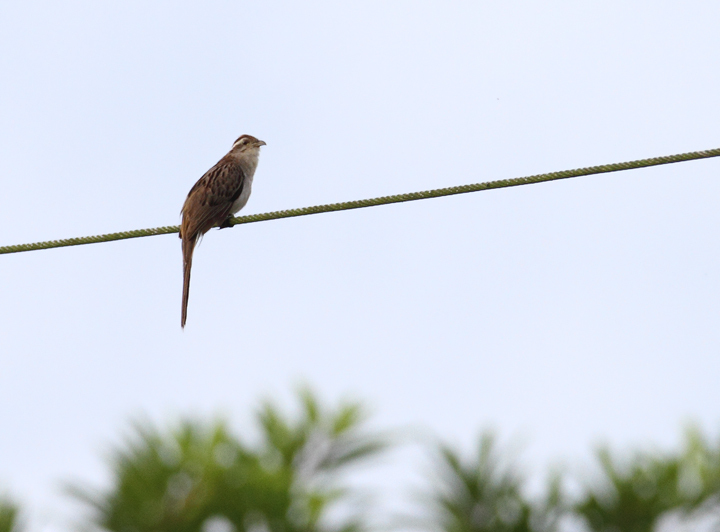 Below: A Striped Cuckoo singing from an exposed perch near Canita, Panama (7/10/2010). 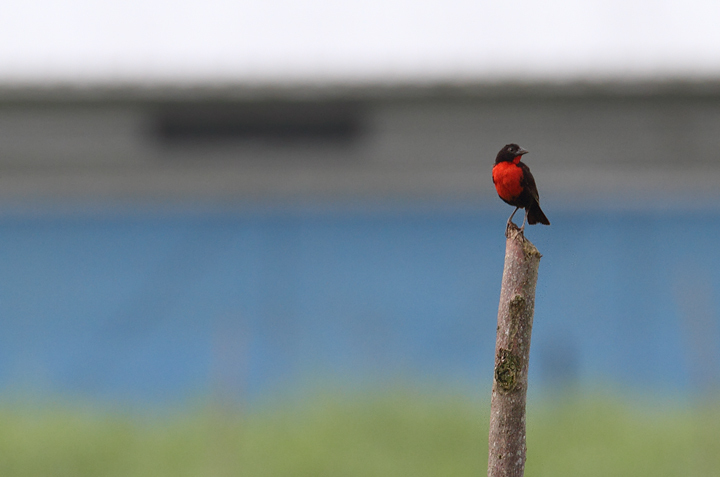 Below: A Red-breasted Blackbird near Canita, Panama (7/10/2010). 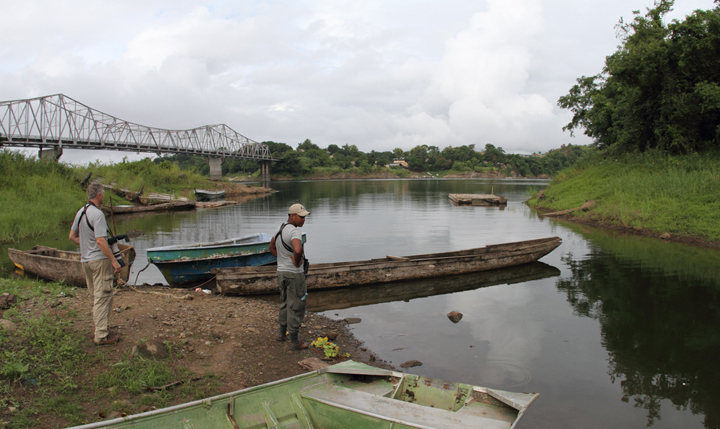 Below: Zebra Longwings gathering to roost near El Valle, Panama (7/10/2010). 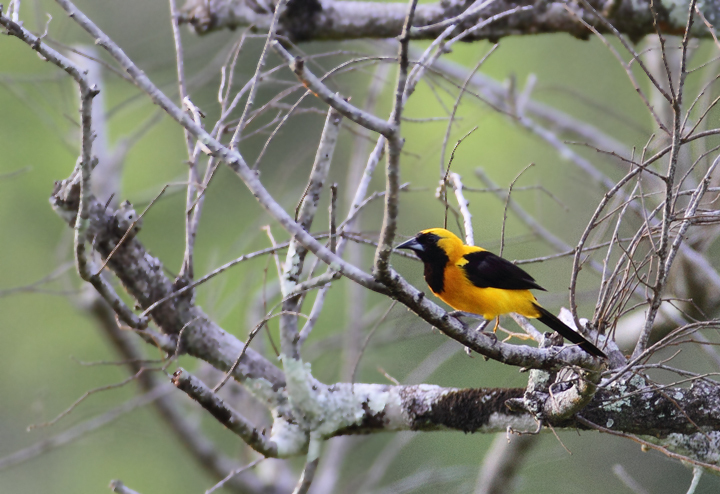 Below: A Yellow-backed Oriole near Nusagandi, Panama (7/10/2010). 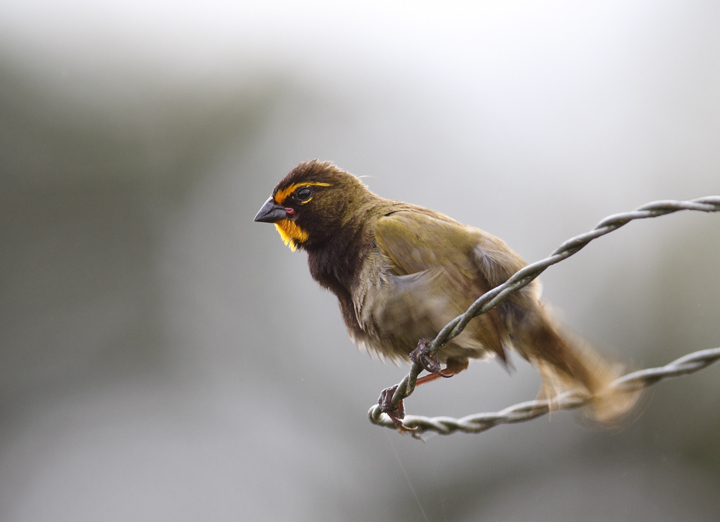 Below: A Yellow-faced Grassquit ruffling his feathers at Las Mozas, Panama (7/11/2010). 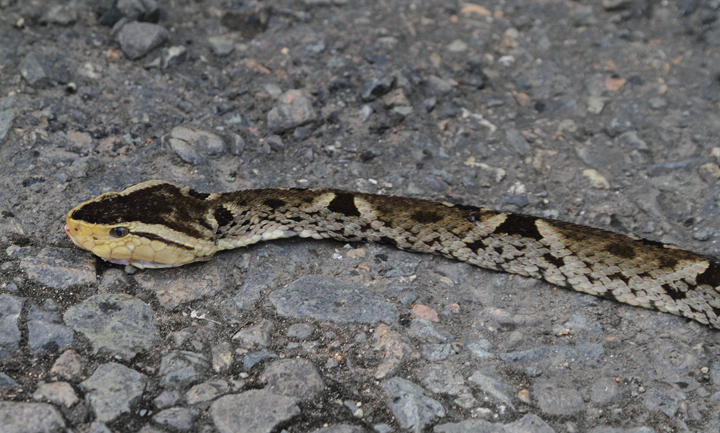 Below: A Fer-de-Lance found dead on the road near Canita, Panama (7/10/2010). 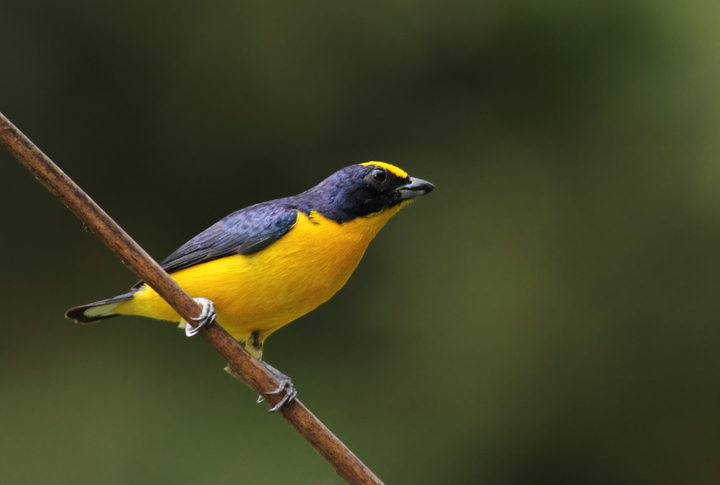 Below: A Silver-throated Tanager at Las Mozas, Panama (7/11/2010). 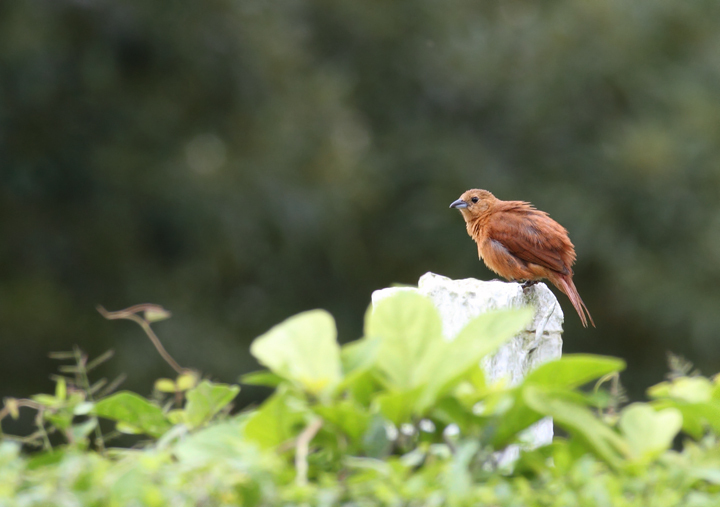 Below: Breeding White Ibis amidst a large rookery near Chepo, Panama (7/10/2010). 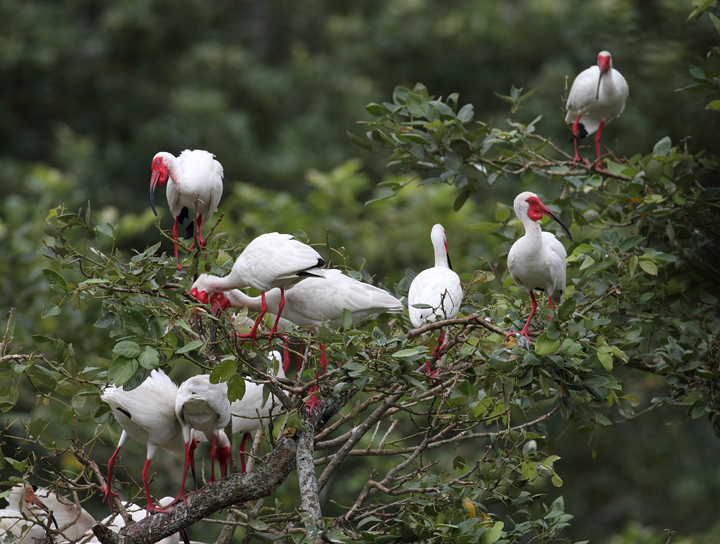 Sixty or so White Ibis were drawn in among the 600+ (probably many more) Cattle Egrets nesting here. 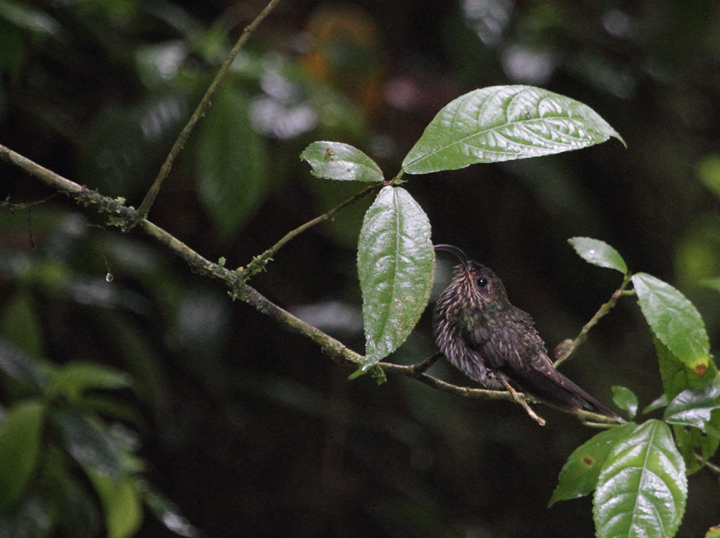 Below: A Crowned Woodnymph near El Valle, Panama (7/11/2010). 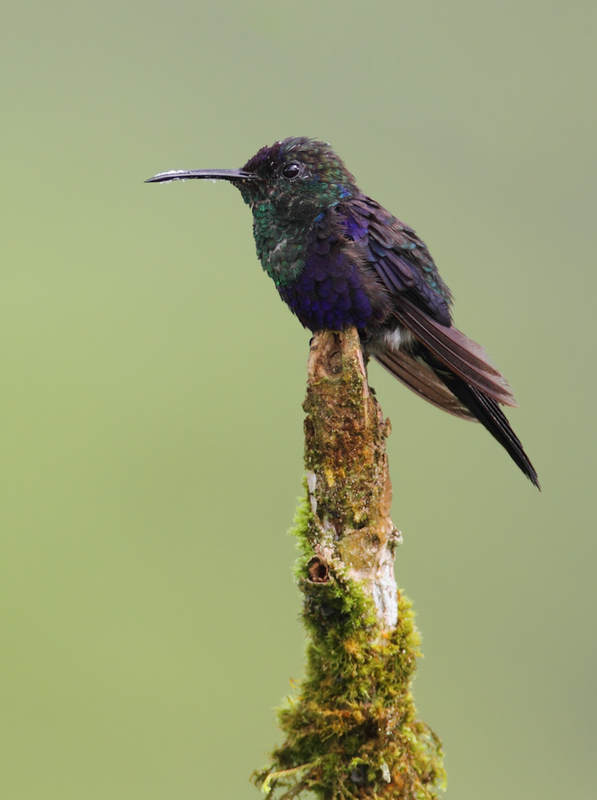 Below: Thick-billed Euphonias are abundant residents near the Canopy Lodge in El Valle, Panama (7/11/2010). 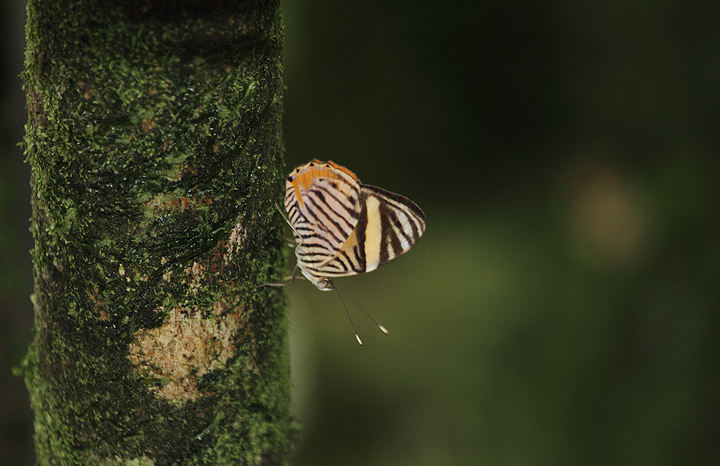 Below: A Zebra Beauty (Tigridia acesta) near El Valle, Panama (7/11/2010). 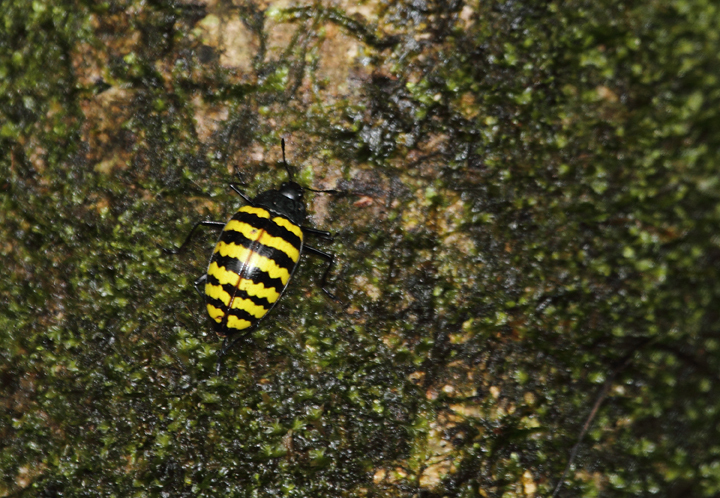 Below: A flashy insect, presumably a member of the Pleasing Fungus Beetles family (Erotylidae) near El Valle, Panama (7/11/2010). 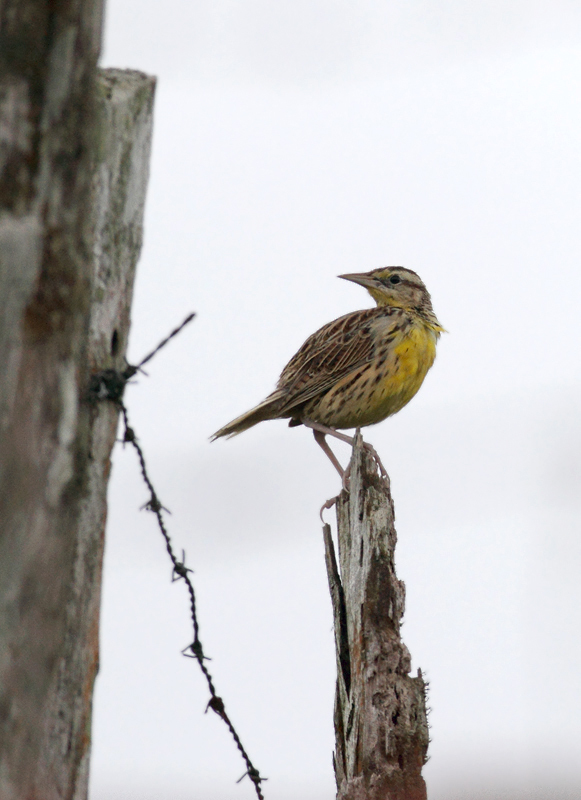 Below: An Eastern Meadowlark in the mountains at Las Mozas, Panama (7/11/2010). 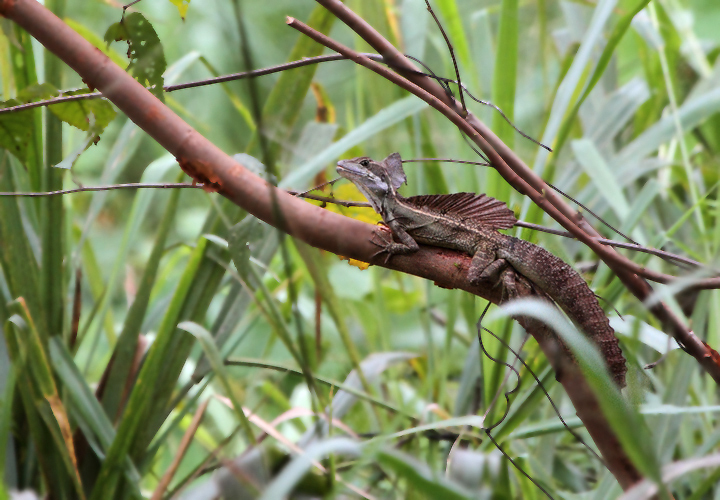 Below: A Common Basilisk near Ballano Lake, Panama (7/10/2010). 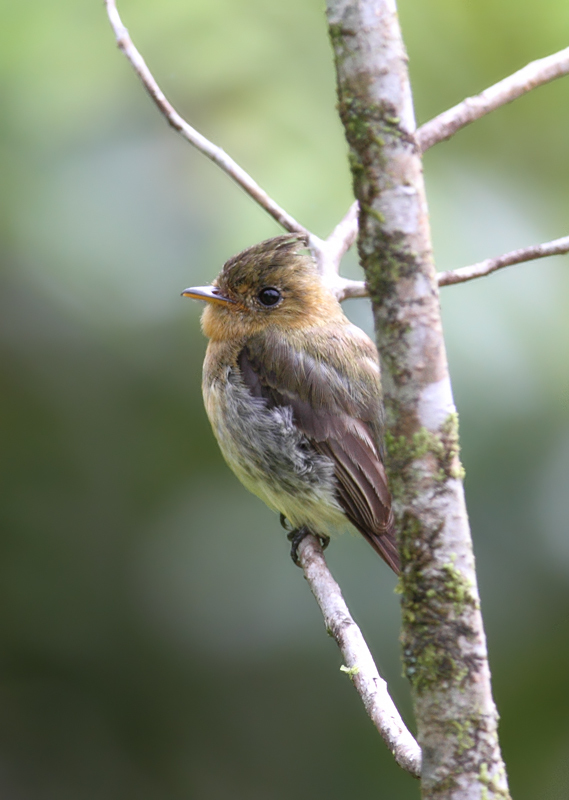 Below: A Common Tufted Flycatcher at Las Mozas, Panama (7/11/2010). 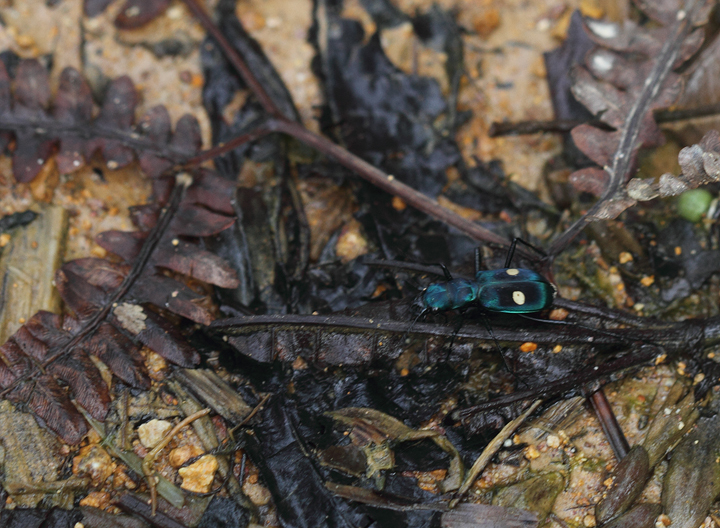 Below: A tiger beetle species at Las Mozas, Panama (7/11/2010). 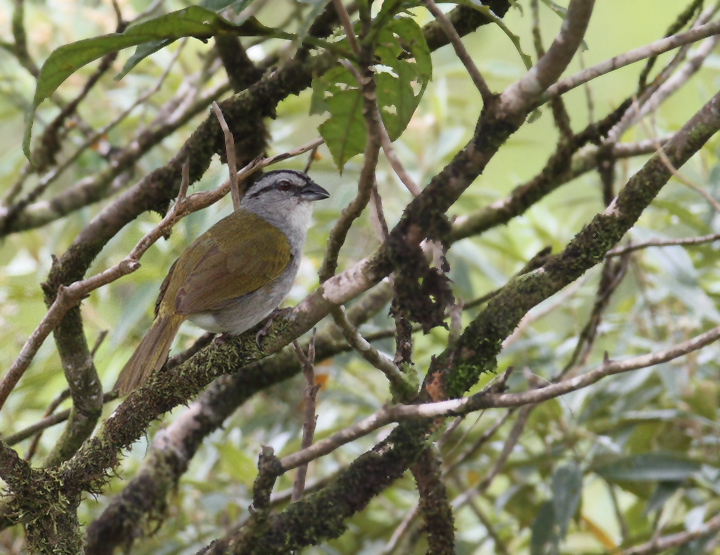 Below: A singing Black-striped Sparrow in the hills at Las Mozas, Panama (7/11/2010). 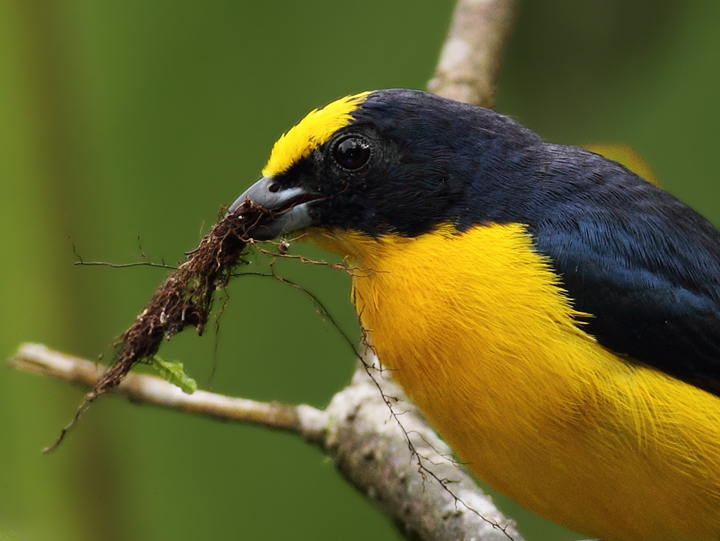 Below: A pair of White-lined Tanagers along the road near Las Mozas, Panama (7/11/2010). 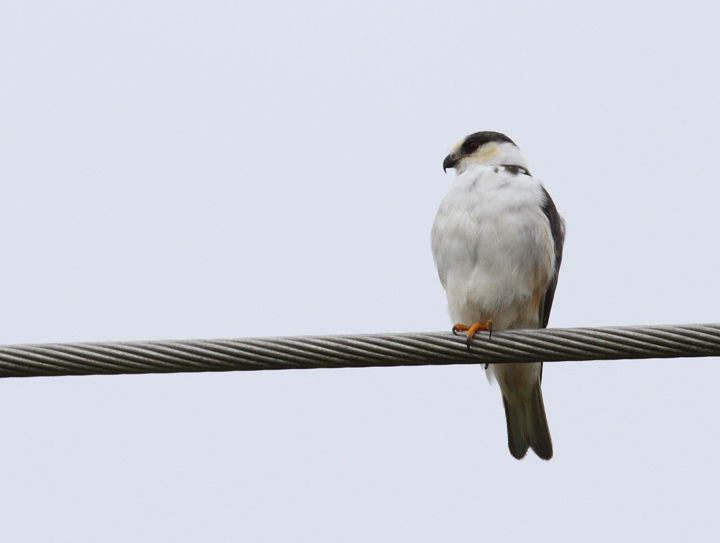 Male above, female below. 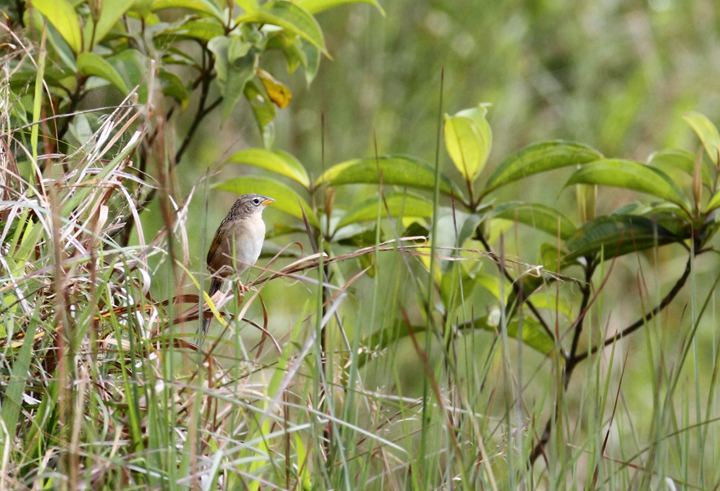 Below: A Wedge-tailed Grass-finch singing from its hilltop territory (Las Mozas, Panama, 7/11/2010). 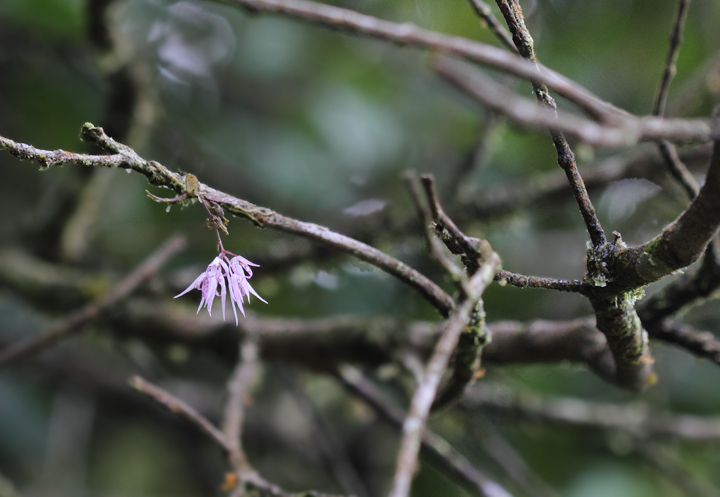 Below: A tiny orchid blooming in a tree at Las Mozas, Panama (7/11/2010). 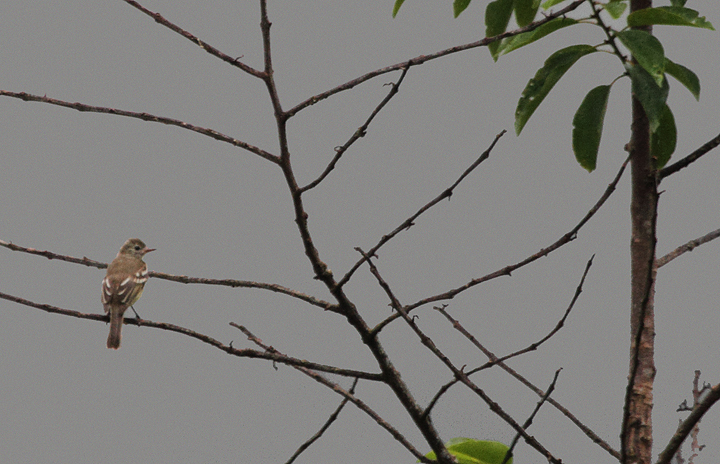 Below: A Lesser Elaenia spotted in the rain near El Valle Panama (7/11/2010). 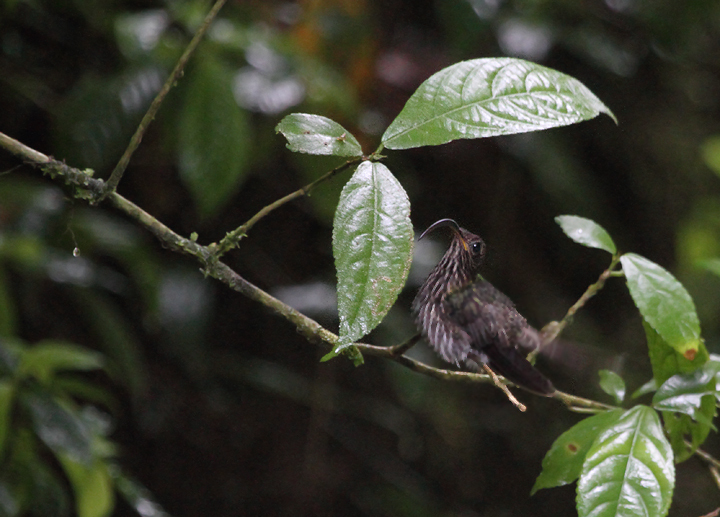 Below: A White-tipped Sicklebill settling down to roost near El Valle, Panama. 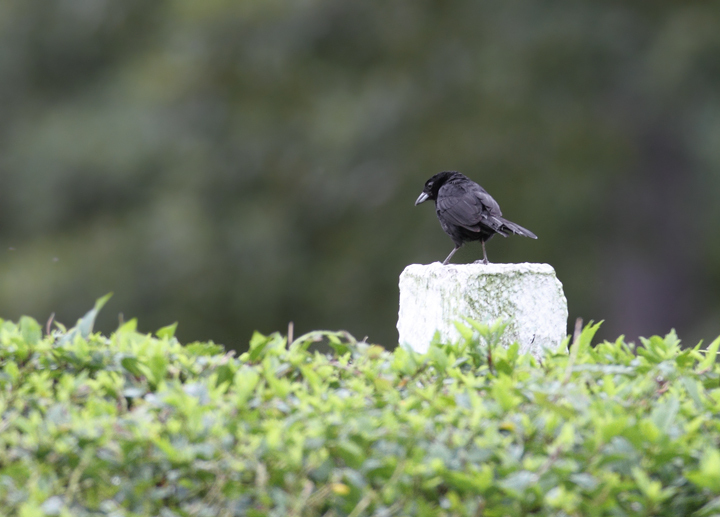 This photo was taken near dusk without flash to avoid disturbing the bird. 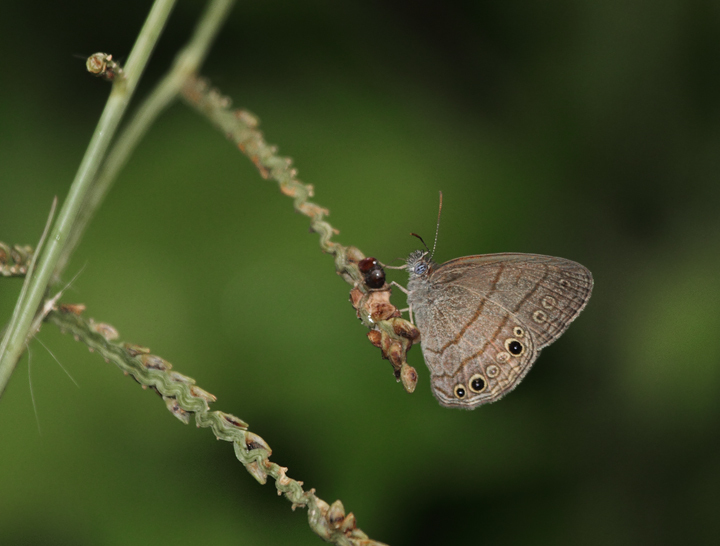 Below: A presumed Carolina Satyr near El Valle, Panama (7/11/2010). 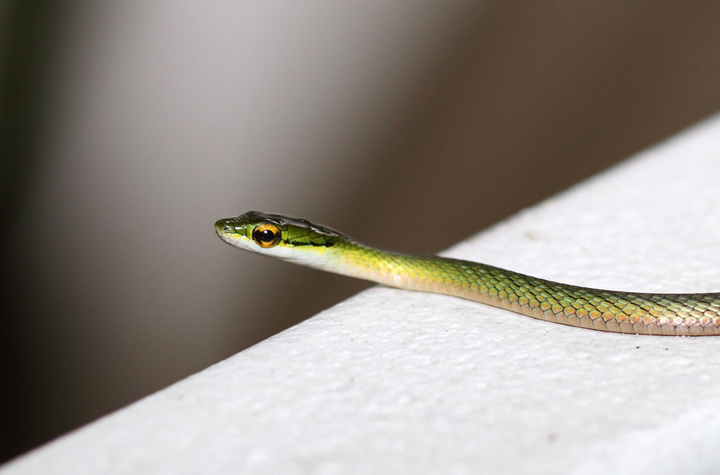 I wasn't aware that this species occurred so far south, but apparently that's how they're being ID'd in the field down there. 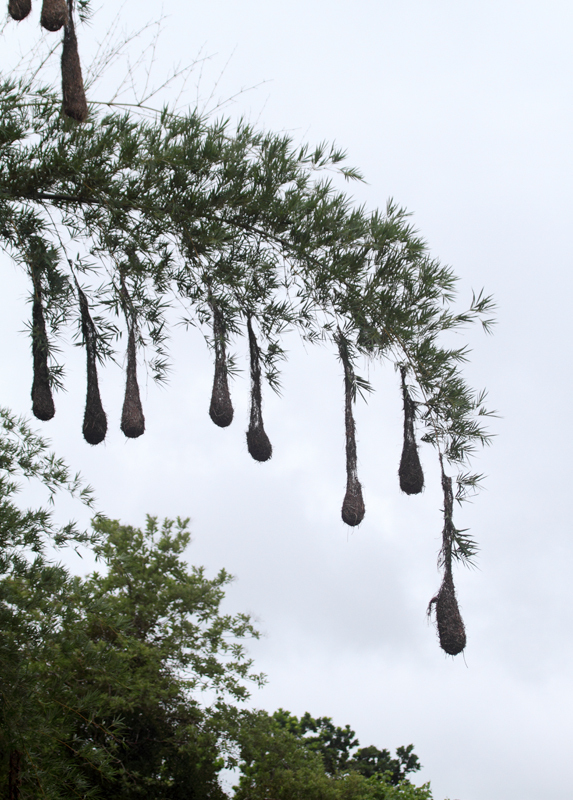 Below: Cacique nests near El Valle, Panama (7/12/2010). 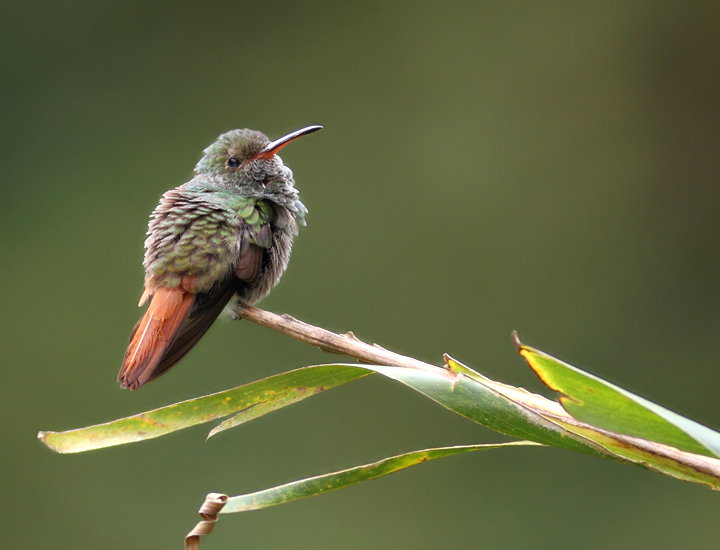 Below: A Rufous-tailed Hummingbird near El Valle, Panama (7/12/2010). 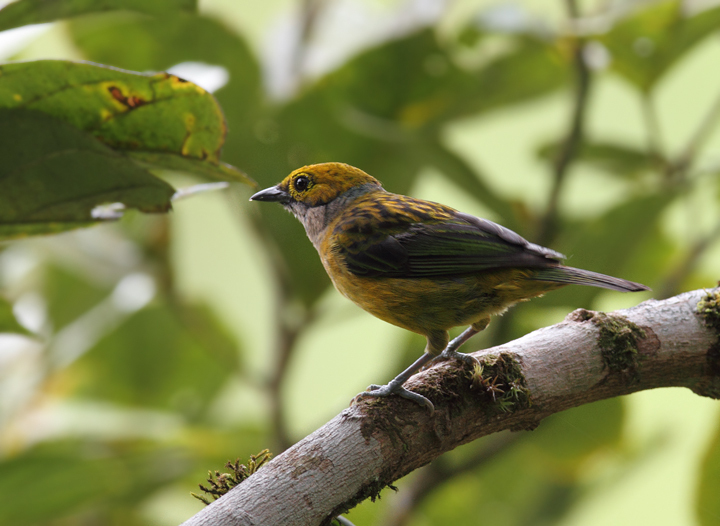 Below: Looking for Pied Water-Tyrant at Ballano Lake, Panama (7/10/2010). 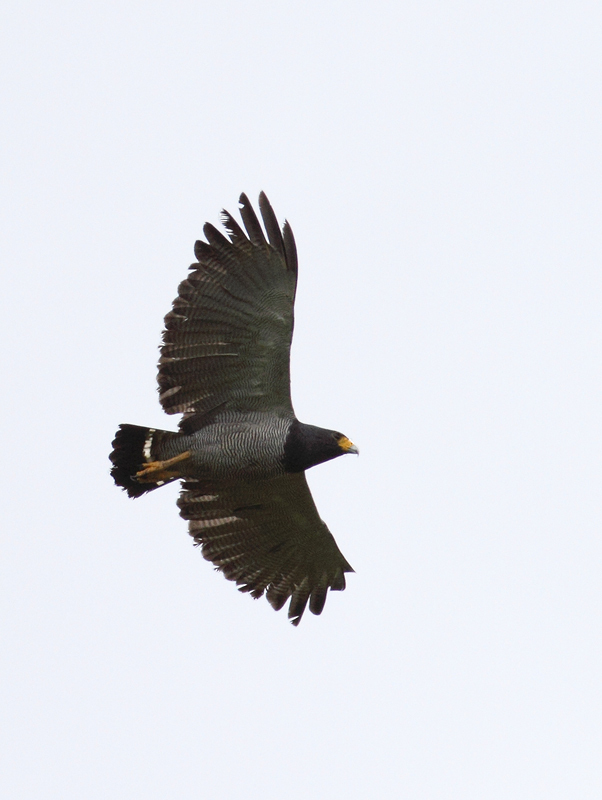 Below: Now this is a hawk - a Barred Hawk in the hills near Las Mozas, Panama (7/11/2010). 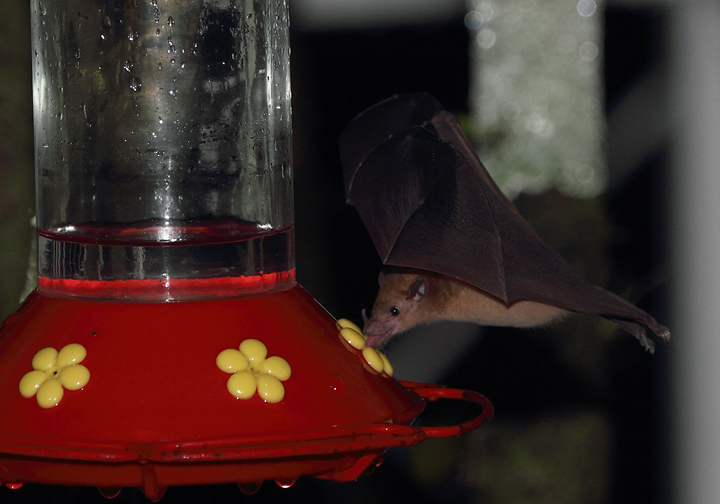 Below: An Orange Nectar Bat ensures that all hummingbird feeders are empty at dawn - near El Valle, Panama (7/11/2010).